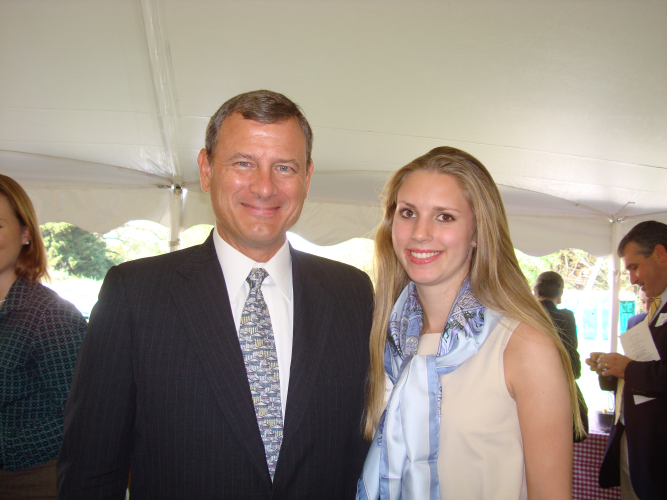 Hadley Nagel with Chief Justice of the United States John Roberts. Hadley Nagel’s brush with history rubbed her the wrong way. As a high school sophomore, Nagel visited Montpelier, the restored home of the nation’s fourth president, James Madison, in Orange, Virginia. Enthralled by the story the mansion told—of Madison crafting the Bill of Rights and other parts of the Constitution and shepherding the country through the War of 1812—Nagel was shocked to learn that there was no national monument to him. When her Manhattan high school sent her to Mount Holyoke College’s annual women’s national leadership conference later that year, “I decided that honoring James Madison’s legacy and working toward gaining him his long-overdue memorial would be my action project,” she says.